Steering Wheel Cover - Double Elastic Band - Up to 24"
Item Number: 25-01 19837 Actual Weight: 6 lbs. Helps keep steering wheel clean and protected. 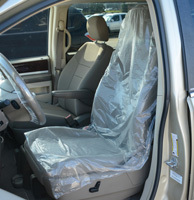 Fits most passenger and light truck steering wheels up to 24". 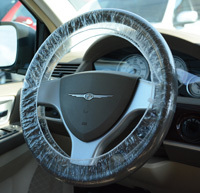 Double elastic band cover allows driver to see through to gauges and center of steering wheel.